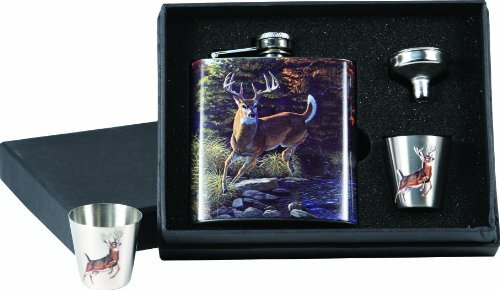 These stainless steel pocket flasks have a stainless steel construction with great art that wraps all the way around the flask. All models feature a captive screw on cap and handy stainless steel funnel for loading your beverage of choice. Licensed art by Al Agnew and Victoria Wilson-Schultz.